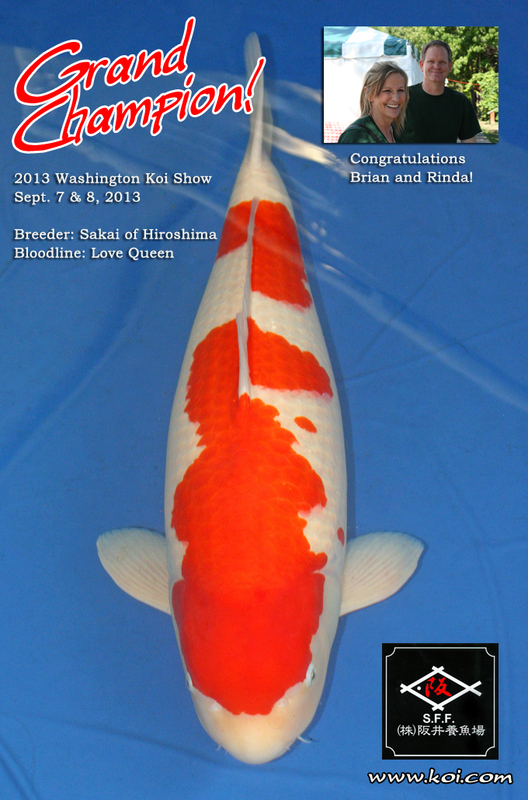 Congratulations to Brian Liljas and Rinda Lowell on winning Grand Champion of the 2013 Washington Koi & Water Garden Society Koi Show. This Sakai Kohaku is a daughter of Love Queen and has been raised to an impressive size while maintaining excellent body conformation and color. This is the 2nd year in a row that a Kohaku from Sakai has won Grand Champion at this show. This entry was posted in Koi Shows on September 14, 2013 by koiadmin.